Welcome to the Winner’s Circle where we celebrate the success of our ICL students. Today we are celebrating published author Joy Lo-Bamijoko! What’s your favorite genre to write and why? What do you do when you’re feeling discouraged or blocked? Do you have any tips for your fellow writers? If you could go to the yard sale of any character in the history of children’s literature, whose would you go to, and what would you buy? Joy has written and published extensively on national and international scholarly journals, magazines, and newspapers. Her first short story “I Come from Utopia” was published in AFRICAN VOICES. Since then, she has published numerous others in RAVE SOUP FOR THE WRITER’S SOUL Anthology, Bks 1-3. MIRROR OF OUR LIVES: VOICES FOR FOUR IGBO WOMEN was published in 2011, and was shortlisted for the Commonwealth Book Contest in 2012. 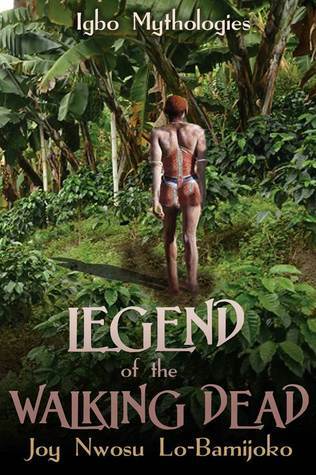 THE LEGEND OF THE WALKING DEAD: IGBO MYTHOLOGIES is a journey into the mysteries of life and death of the Igbos of Nigeria was published in 2014. 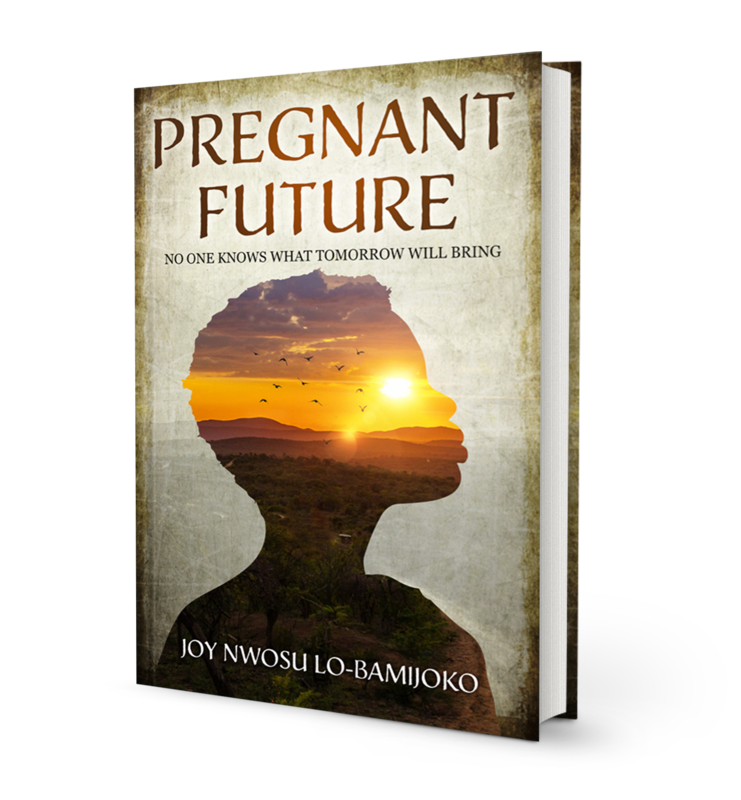 Her new novel, PREGNANT FUTURE, is the story of a young woman alone in the world and left to fend for herself. It is the story of the pitfalls that await such a woman. It is the story of survival. Joy also has two books published in the Italian language. WELCOME TO MY FANTASY BLOG HOP! PLEASE SHOW YOUR PRESENCE BY COMMENTING. The world of the traditional Igbo society of Nigeria is a world in which the dead visit and interact easily with the living. It is also a world in which most of the time the living are at the mercy of the gods. When 15-year-old Osondu goes missing, his mother searches for her son and faces the same fate. Now they are both missing. There is a thin line dividing the land of the living and the land of the dead, so thin that spirits from both lands coexist. And sometimes in the story, it is difficult to differentiate between the living and the dead. Both have bodies, with the living existing in their bodies, while the dead use borrowed bodies. Writing my memoirs has proven quite a soul-cleansing experience. Today, I feel completely liberated and free. I have reclaimed myself and own my Soul. I can look the bull in the mouth and still stand my ground. I am me, the person God made me to be! Nothing holds me back, and nothing blocks my way. I have learned the great lessons of life and can only go forward, never backward. This is because I believe that each person must go through their growing up pains to truly grow up. I didn’t tell her that, but it is the truth. The lessons of telling it all in a memoir show that no matter what one goes through in life, there’s always light at the end of the tunnel. What would you do if you knew what the future had in store for you? Would you run towards it with open arms, or would you run away and never look back? This was a very difficult book for me to write. It was supposed to be my first published book, but because of the dread I had about events contained in the book, and the fear of spilling my guts for all to see, I circled away from it and wrote about other things. I wrote about other people’s fears and struggles, about their disappointments and victories, and all the time, I was asking myself, what about the fears and struggles you personally witnessed and endured? In 1962, I was practically smuggled out of Nigeria, out of the continent of Africa, to a foreign country, a European country where English was not spoken. No one prepared me for the trauma of finding myself where I was the odd person out. The plan was originally for me to go to Dublin, but somehow, the plan was changed, for the better, I was told. Instead of a scholarship by the Holy Rosary Sisters, who trained and nurtured me, the scholarship was upgraded to a government scholarship. At the time, I was ecstatic about the upgrade. I was even looking expectantly forward to being in Rome. I was still a child in everything, never having been exposed to the outside world. There I was, alone, and lost. I mentioned being smuggled out. Yes. I was spoken for, and my fiancé was determined to sabotage my leaving the country, in any way he could. So, I had to leave in a hurry without his knowledge. No one will ever know how it feels like to be alone and lost unless one has lived it. Justina of this story is me, muddling through life, falling and rising. In the end, I can sit, look back and shudder. I am still in awe of what I have become. It is only by the grace of God that I am who I am today. In Mirror of Our Lives, four Nigerian women share the compelling tales of their troubled lives and failed marriages, revealing how each managed not only to survive, but also triumph under difficult and repressive circumstances. Njide, Nneka, Miss Nelly, and Oby relive their stories of passion, deceit, heartache, and strength as they push through life—each on a unique journey to attain happiness, self-respect, and inner peace. But none of the women’s journeys comes without misjudgments and missteps. Njide falls in love at first sight, marries Tunji too quickly, and grows dismayed when Tunji shows his true colors. Nneka once thought that she and Oji made the perfect couple—until Oji traveled to the United States. Miss Nelly, a kind and good-natured woman, allows everyone to take advantage of her—even her husband, whom she married only for his name. But everyone wonders why Oby and Mat even married at all, for their marriage became a battle from the very beginning. The tales in Mirror of Our Lives: Voices of Four Igbo Women will inspire females around the world never to give up, to discover a sense of worth, and most of all, to learn to love themselves above everyone else. Please be the first to review it.